mattress pad is a cover, but a mattress protector is, well, a protector. 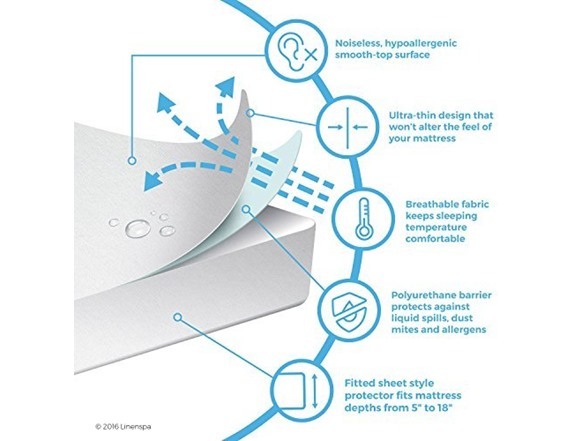 It prevents mattress stains - which can ruin your mattress - by blocking out liquids, and it keeps dust mites and allergens off your mattress. 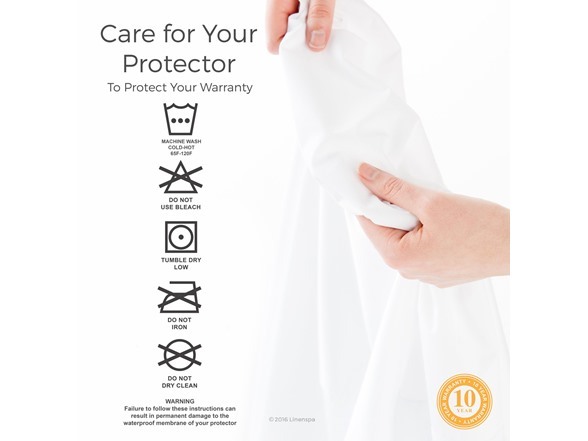 The surface of this protector is made of smooth, hypoallergenic fabric that is soft, quiet and breathable. 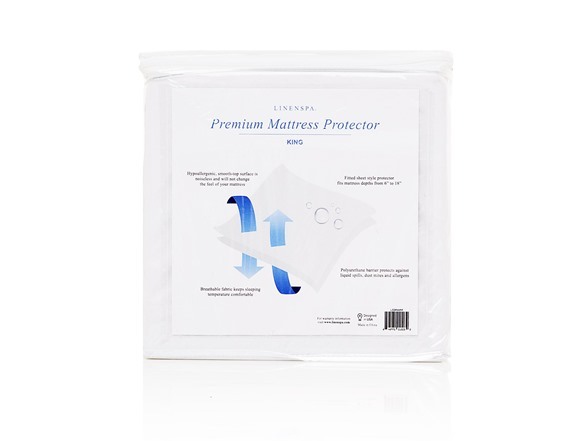 This fitted mattress protector goes on just like a bottom sheet and has a deep pockets for a secure fit on most mattresses. 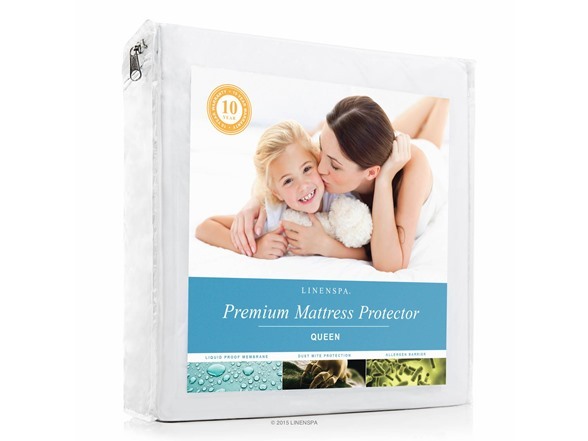 Twin size protector measures 39" x 75"
Full size protector measures 54" x 75"
Queen size protector measures 60" x 80"